Volcano House at Hawaii Volcanoes National Park. Hawaii 24/7 File Photo. 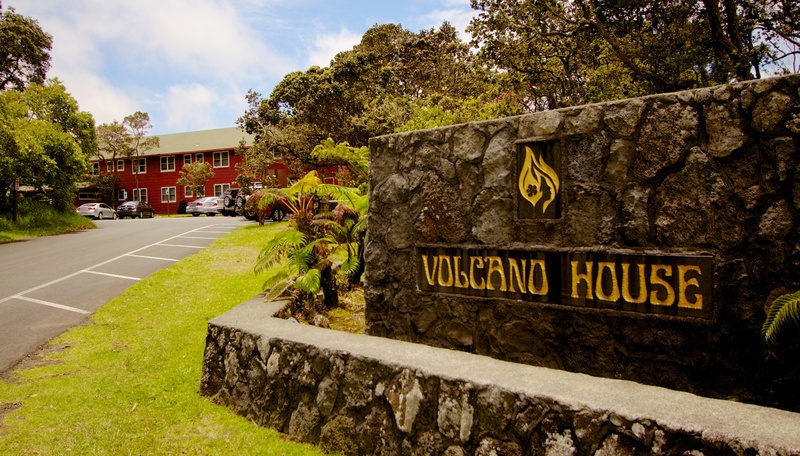 Hawaii National Park, Hawai‘i – Both restaurants in Volcano House are closed for at least two days while officials investigate the cause of a kitchen fire that sent a hotel employee to the hospital Tuesday morning (March 24). Both The Rim restaurant and Uncle George’s Lounge will be temporarily closed as National Park Service investigators determine the cause of the small blaze, said Hawai‘i Volcanoes Lodge Company, LLC General Manager David Macilwraith. They plan to reopen both restaurants Thursday. The Volcano House hotel remains open, he said. Park rangers, Hawai‘i County medics and engine 19 responded quickly to the fire alarm and calls to park dispatch, around 10:30 a.m. Tuesday. A 42-year-old hotel employee suffered burns to his upper arms, and was transported by county medics to the hospital.